Minister for Communications Alex White, the director of elections for the Labour Party, said he had been monitoring his Dublin South constituency. “It seems likely that turnout will finish as high, if not higher than in the general election. I think something very big happened in Ireland. 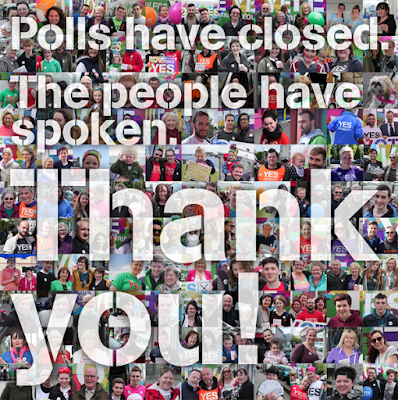 A whole new generation has been politicised.” Those on the No side also acknowledged that the large turnout in Dublin, in particular, was likely to tip the balance in favour of a Yes. Tipperary Independent deputy Mattie McGrath, one of only two TDs who publicly called for a No vote, said it looked likely that the high turnout in Dublin would carry the proposal. 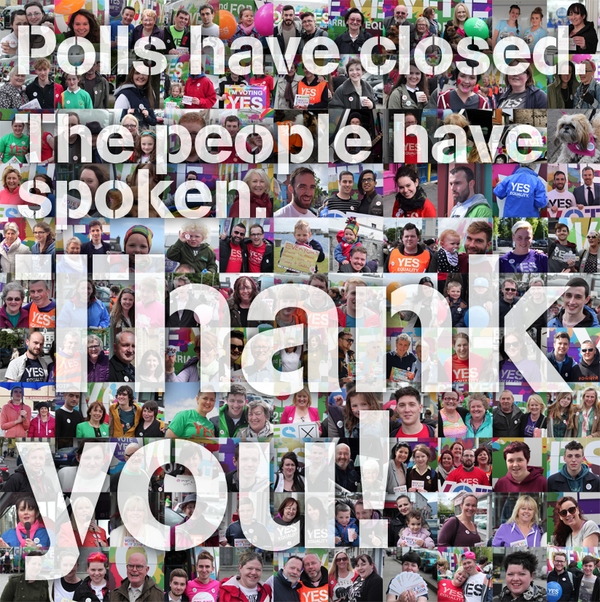 Whatever the result, we will always stand in awe of the fantastic messaging and tactics of Yes Equality and their allies. We've never seen a marriage campaign that was pulled off so skillfully or one with such an adept usage of social media. And when else, in the history of everything, have we ever seen every major political party and almost every major elected official walk proudly into the rainbow-hued light? True, Ireland is a small country and activists there had the definite advantage of having seen what worked and what didn't in other countries. But every Yes Equality supporter can go to bed tonight happy in the knowledge that, as Panti Bliss put it, they could not have done more. Go raibh maith agat, Ireland!